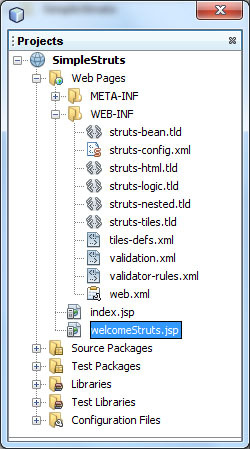 While starting struts, I had browsed lots for a simple example, which can demonstrate the basic concept of Struts with Netbeans IDE but i found vary less (those I had posted in my previous post). So after learning little bit about Struts, here I am posting a simple Struts example which may help you to get some basic concept of Struts. Press Next, from the list of Frameworks select strut. Here we are providing default Action Servlate Name and Action URL Pattern (i.e. action, *.do). Check Add Struts TLDs. Click on finish, project will contains following content. 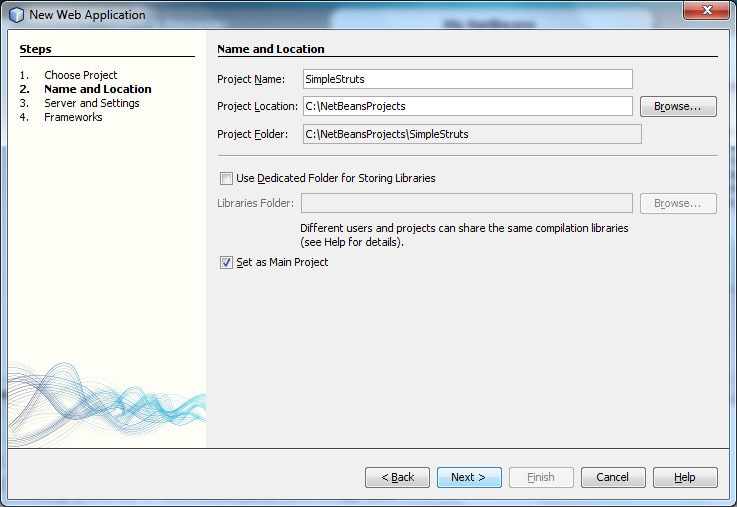 Create a new JSP file, with name sample. Insert following codes, which includes some Struts html tags. 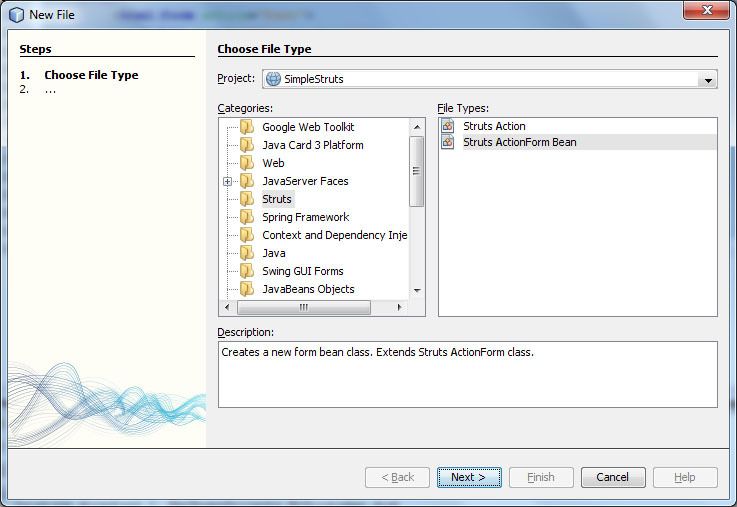 Under Categories choose Struts, then under File Types choose Struts ActionForm Bean. Provide a class name, NameForm. 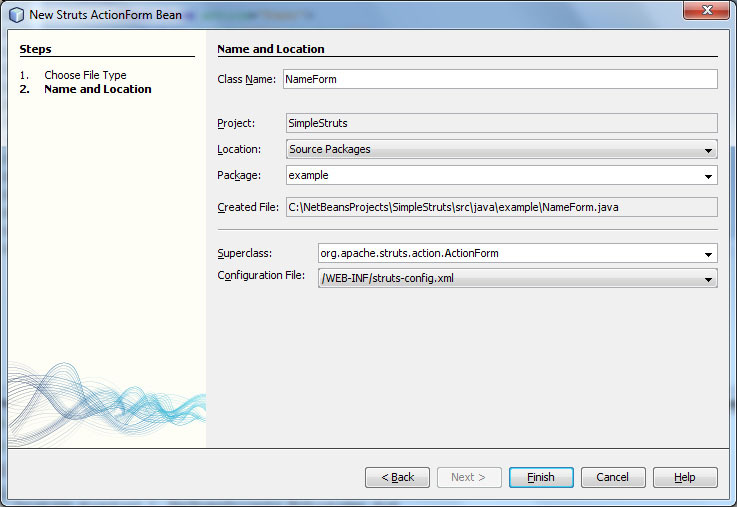 Provide example as a package (It is recomended by netbeans that the java class should not be placed in default package). 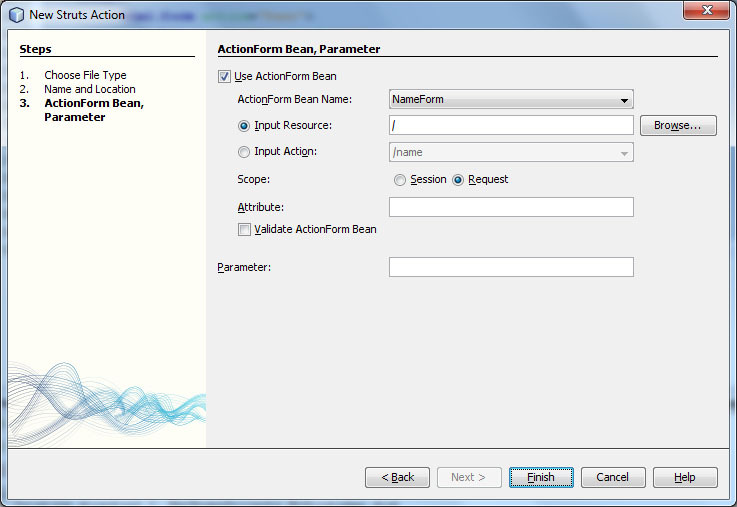 Inside Source Packages, inside example package we can find created NameForm ActionBean. Edit NameForm code to be like below. Create a new JSP file displayname.jsp, with following code. 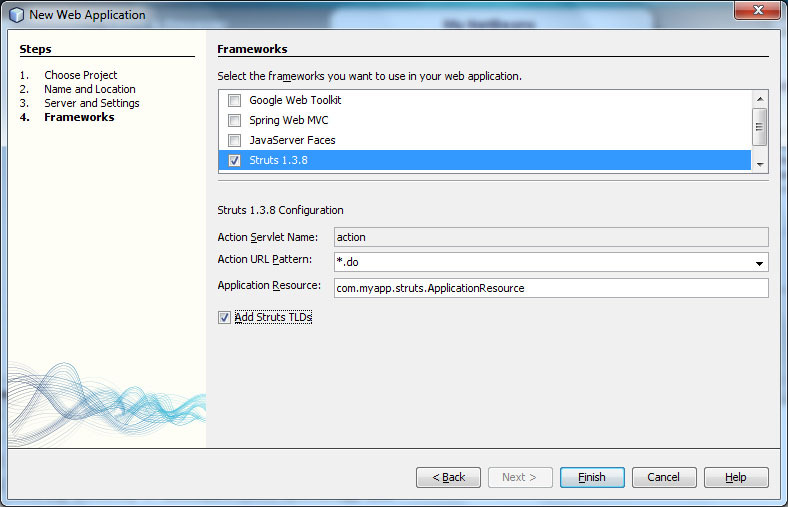 In the Projects window, right-click the SimpleStruts project node. 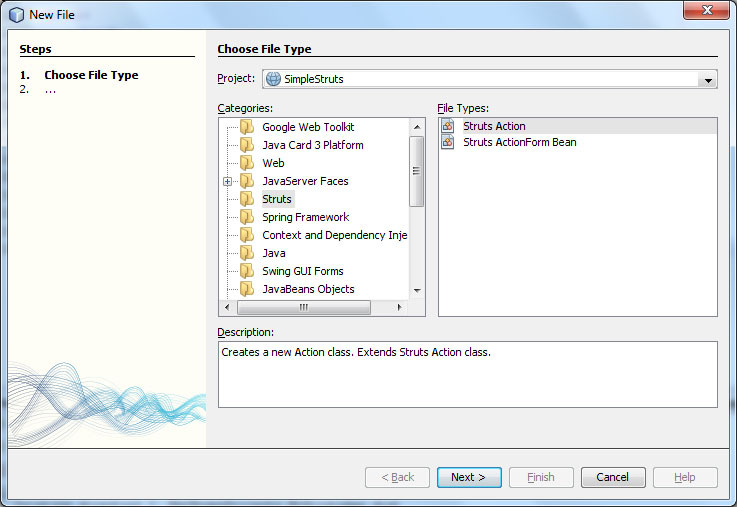 From the Struts category choose Struts Action and click Next. 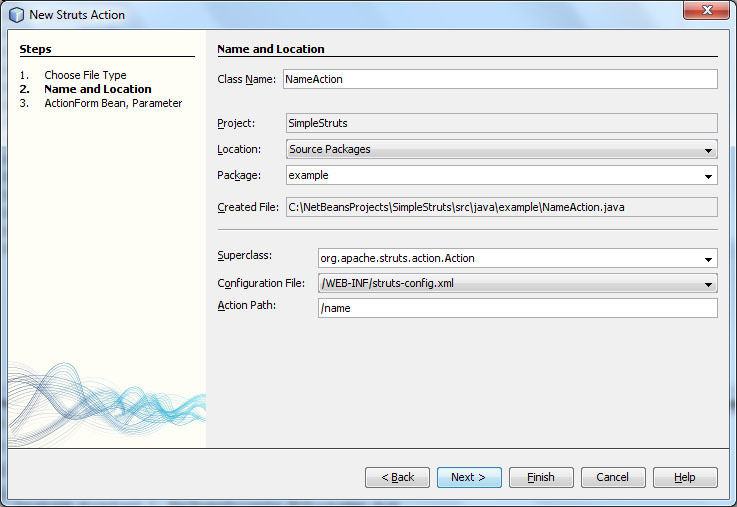 Provide Class name as NameAction, Package as example and Action Path /name. Other option can be left as default. 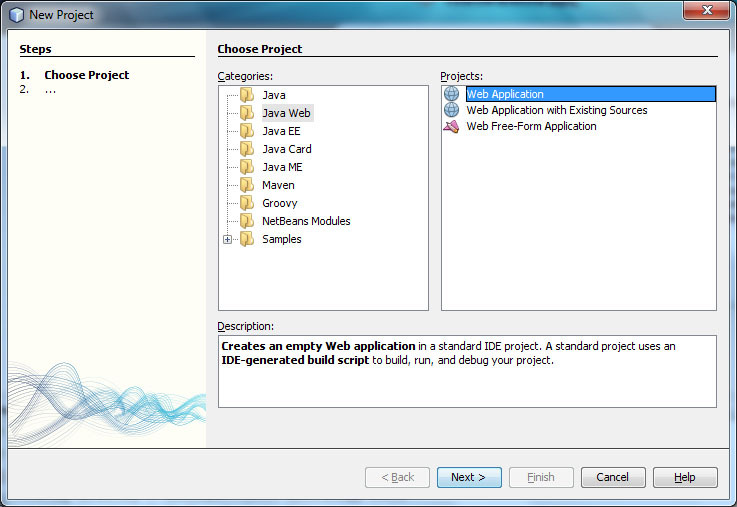 Add folloing code inside the execute() method. 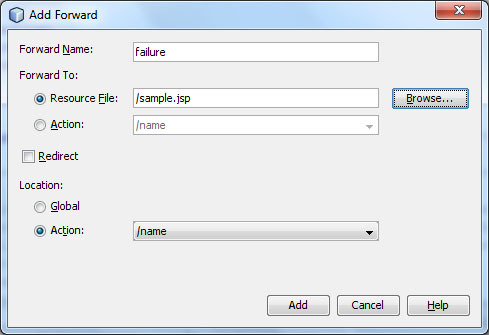 Right click on the NameForm action, and click add success forward and failure forward. Now, replace the index page content with below code and run. 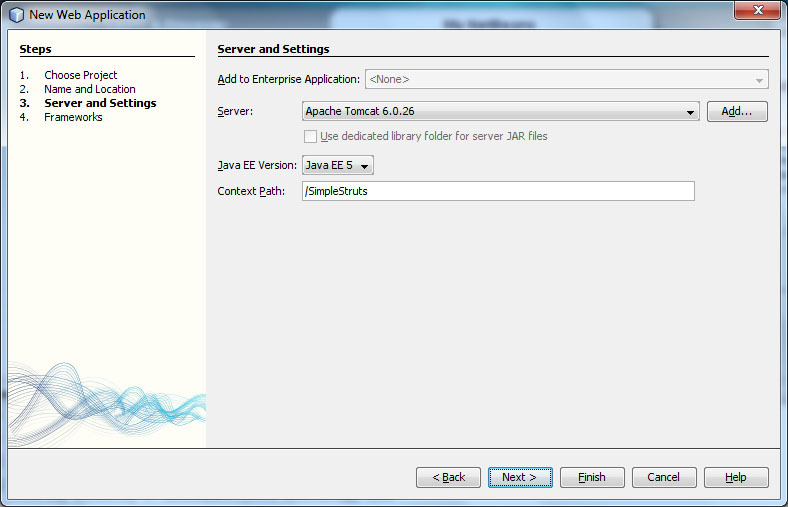 Download zip archive of this project. I want 10th model paper. Sorry, I don’t understand what you are asking for. When Form is Submited then Action form is called….right ?? how NameForm class is used……???? Thanks Prashant for helping in strut demo program , but It’s necessary to do some change in strut-config.xml to run this program successfully. this is very helpfull for struts beginner..